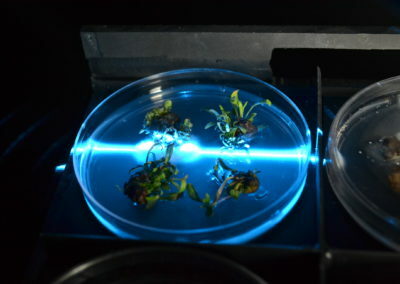 High-throughput repeated scanning of hundreds of Petri dishes was sought by a research group developing modified plants. 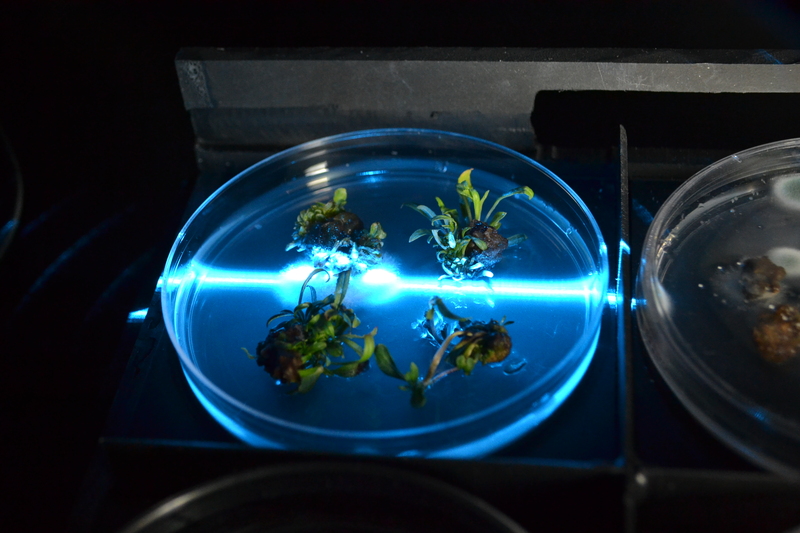 The small plants were ¼ to ½ inch size developing multiple fluorescence emissions and were arranged in a set pattern in the Petri dishes. The measurements had to be done many times during the incubation period. For purposes of sterility, the dishes were sealed and could not be opened for the measurement. 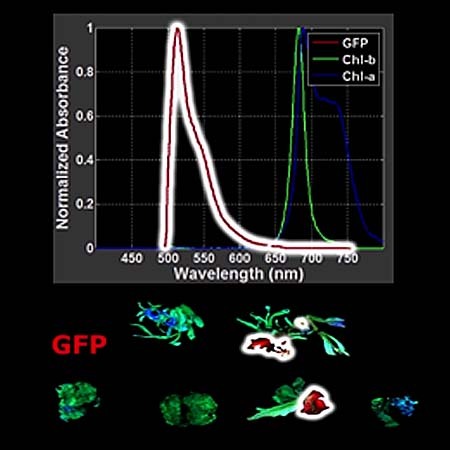 Green fluorescing protein (GFP), chlorophyll and the autofluorescence were overlapping when excited with a 488 nm laser. 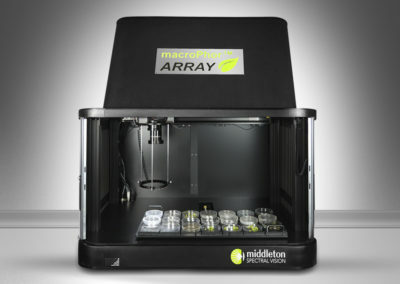 In the design, a hyperspectral fluorescence system was combined with a MacroPhor Array scanning frame. 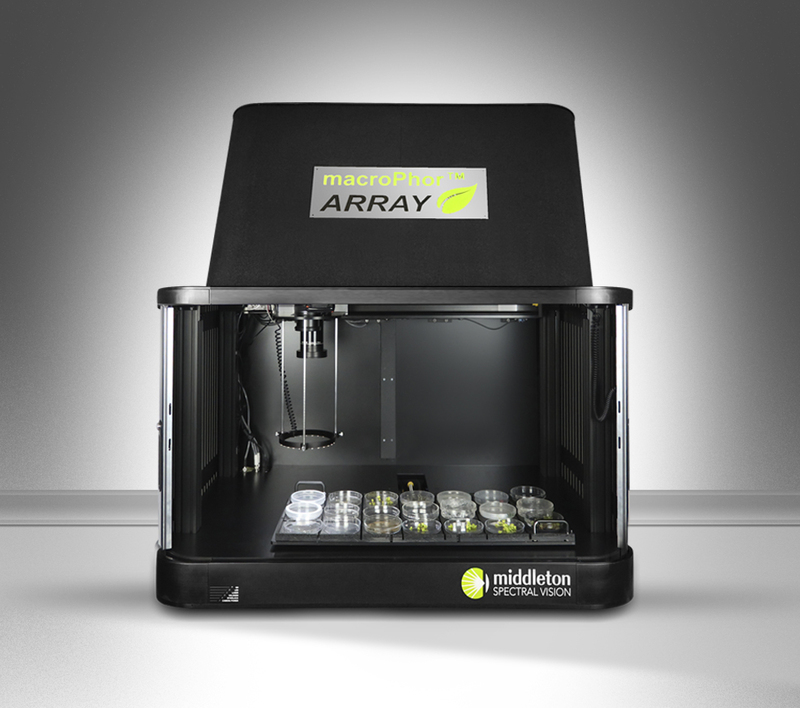 The removable tray was able to handle 21 Petri dishes and scan them automatically. The beginning and the endpoints of the scan coordinates of all Petri dishes were saved in a utility file, while any combination and number of the Petri dishes could be selected for the measurement. An additional high resolution (24 MPixel) RGB camera was attached to the scan mechanism to take images of all Petri dishes automatically. Lighting was optimized to avoid any reflections off of the covered and sealed dishes. All files are identified with a root name and location and saved for further processing. 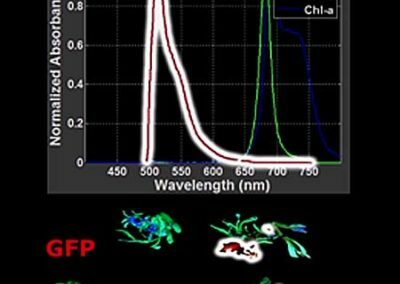 The hyperspectral and high-resolution RGB images were processed with the kemoQuant™ software to obtain the images for each fluorescence components separately. To further automate the data processing, a software module was developed for the area of the Petri dishes to be split in predefined subsections and automatically processed to separate the segments and summarize the results accordingly in a spreadsheet.